Jeff Bezos famously had an unlimited marketing budget in the early days of Amazon. He knew that what was make or break for Amazon was their number of customers (that was his “does it make the boat go faster question”, he knew how many customers he needed, and when the money would run out. He told his marketing team they could spend $38.50 per customer, and as long as they were achieving that, their budget was unlimited. In any business, that’s a beautiful place to be. Where you know what you can afford to spend for a new customer, and you can scale delivery (ie you have the capacity to keep delivering no matter how many sales you make), you can then have an unlimited marketing budget. Occasionally in a practice a cluster (an offering) will develop to this point. It’s scalable, leveraged, and you know what you can spend to get a new customer. For example if you have an online program that you sell for $1,000 and it costs you $100 to deliver it, you might decide you could spend up to $400 for each new customer. At that point the thing to do is go hard at it. Think about how much you can afford to spend per lead, or per new customer, not what your total budget is. 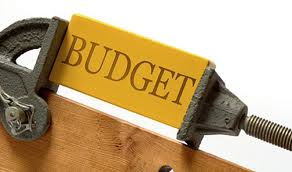 Love to hear your thoughts – what do you think about an unlimited marketing budget? You can leave them below.